Since arriving in London I have experienced some challenges with the shower temperature. This shower is by far the worse shower I have ever encountered, as it is either “third degree burn” hot or intermittently cold. Previously if I was patient and constantly jiggled the taps I would sometimes be able to maintain a warm temperature but for no more than a couple of minutes, however this morning I encountered “titanic ice burg freezing” temperatures that did not subside, as a result this was my shortest shower in history. Today we leave the UK and head to Paris on the Eurostar, Je m’apelle Danielle!! The Eurostar is amazing!! 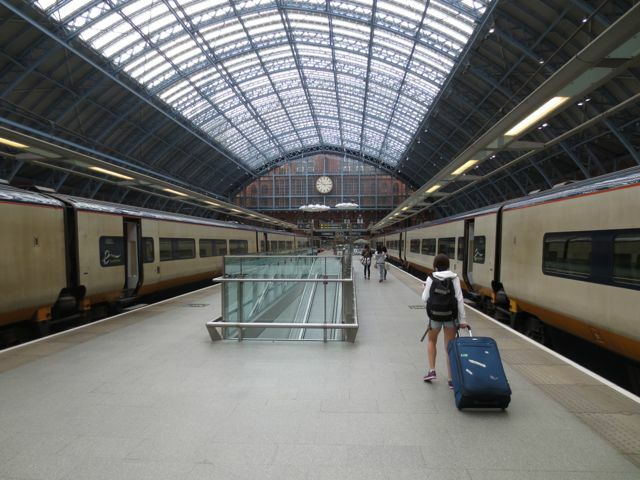 It literally takes a couple of hours on a super fast train to get from London to Paris, this is so much quicker than Sydney to Perth, maybe Australia should invest in one of these trains! The two hour journey was great as it gave me time to catch up on working on content for my quirky adventure blog. 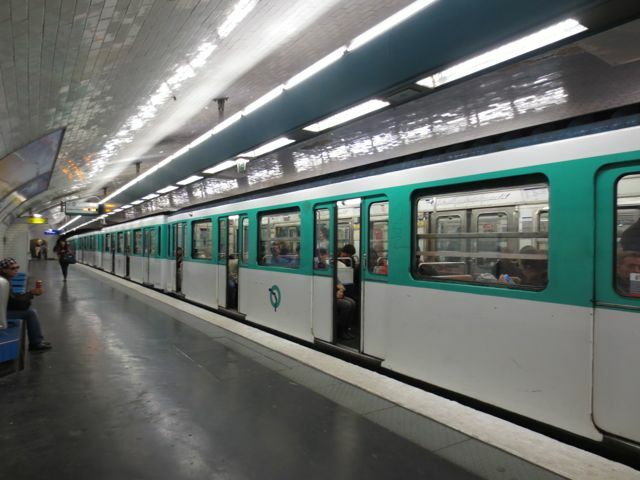 Paris is very different to the UK, the underground for one is quite dirty and smells in the stairwells and people walk at a normal pace which I was not use to as London was always at warp speed. If you don’t maintain the walking speed in London, you get wiped out by passers by but I actually did start to like the pace of the London underground. I really did not pack very well as I was advised Europe was warm this time of year!! 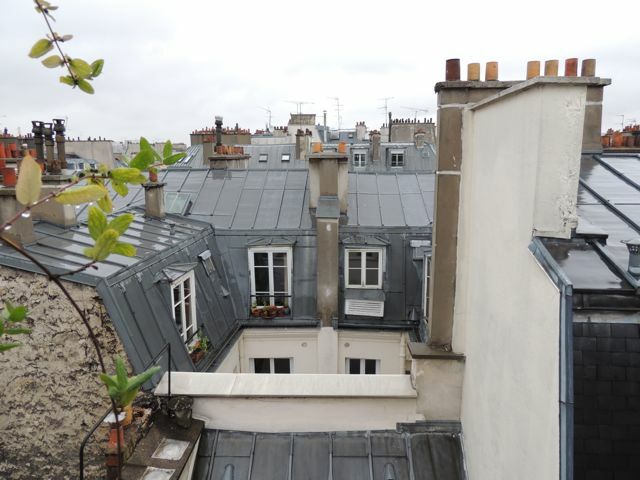 However when we arrived in Paris it was raining with freezing temperatures, I actually felt I was back in the midst of Sydney’s winter. My shorts, sneakers and hoodie were by no means appropriate attire for the weather in Paris, luckily I had packed jeans but my white hoodie was now turning a shade of grey as I had now used this several times in London as a rain coat. 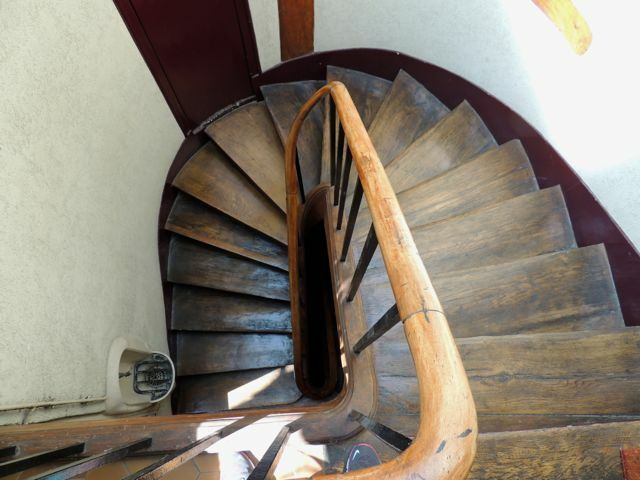 The apartment where we are staying in Paris is gorgeous, it is located on the 6th floor and there are a total of 105 stairs to get to the top, this makes for an excellent cardiovascular work out!! 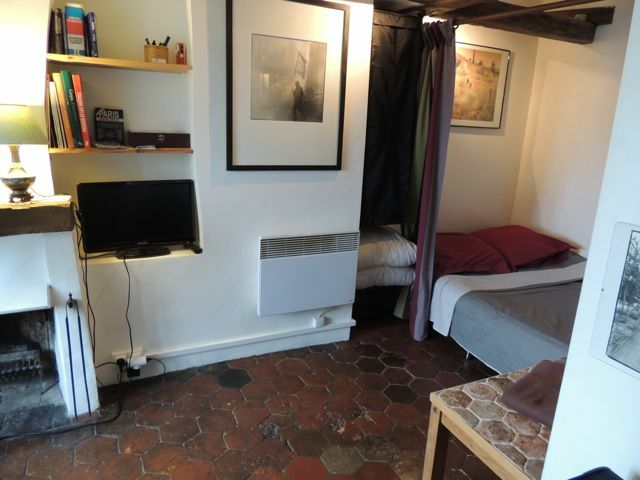 The apartment is very small and has a double bed, small dining table, a tiny kitchen with a coffee-ish type table and a small bathroom. The whole apartment is probably a tiny bit bigger than my main bedroom at home but I absolutely love it!! 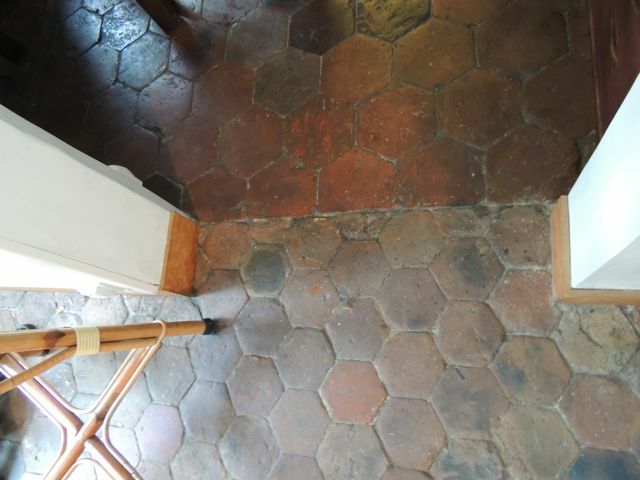 Half of the tiles that on the floor date back to the 1500’s and the other half to the 1800’s. 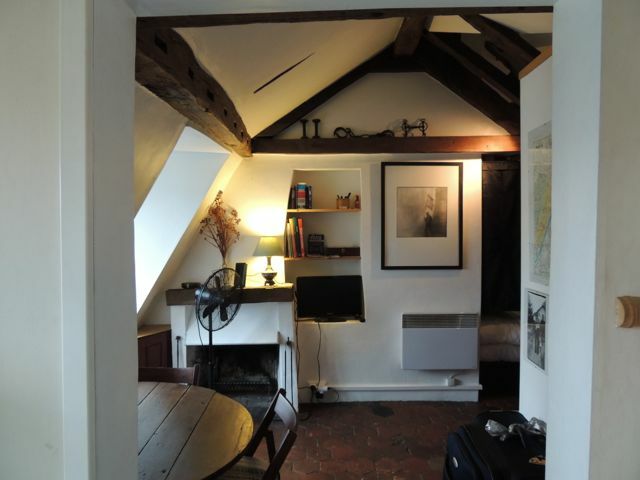 There are wooden supporting beams and wooden window trimmings around the apartment. The boyfriend (Sean) said it was like a cubby house and it really is!! 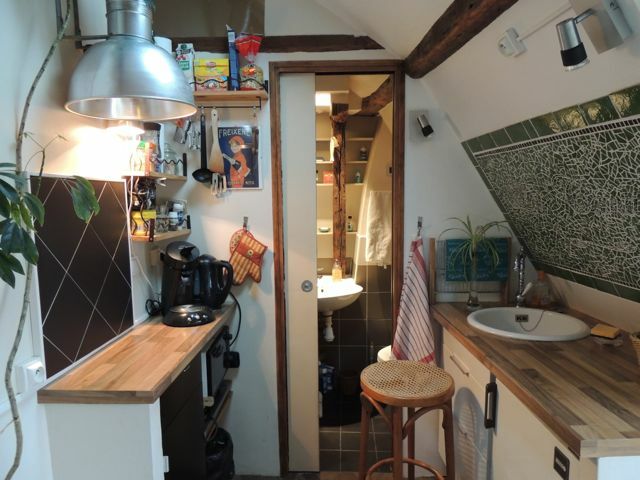 If I had to estimate, I would say the apartment is between 20 -22 square meters in size. It is just so quaint, I absolutely love it!! Australia is such a young country with nowhere as much history as Paris, I hadnt even left the apartment and already I felt so much more cultured!! Sean and I walked around aimlessly in Paris looking at menu’s trying to decide what to eat for dinner, it did not help that we could not read French and the fact there was not an English menu available made for a challenging dinner decision. We chose a restaurant that served French cuisine although some of this was written in English.. 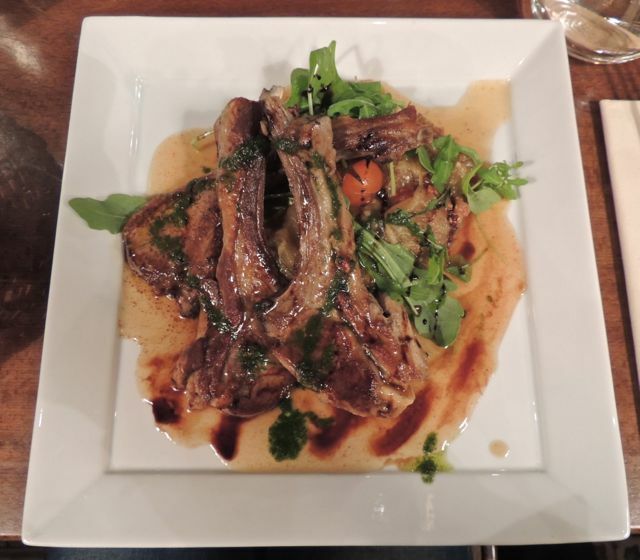 Being a fussy eater I had decided on the fish, it looked like the healthiest choice on the menu but when I went to order I was advised the fish was no longer available, I therefore chose the lamb.. The menu advised the lamb was grilled but did not mention the lamb was actually cutlets with a high fat ratio!! It was served with an eggplant and tomato marmalade. It arrived but I was not overly happy with my choice as it was quite rich and by no means a healthy dish, I picked off the fat and ate the rest, it was nice but not a dish I would chose again..
We were both still hungry after dinner and as we were in France we ordered a cheese plate for dessert plus our second glass of French red wine, I absolutely adored the herb cheese. 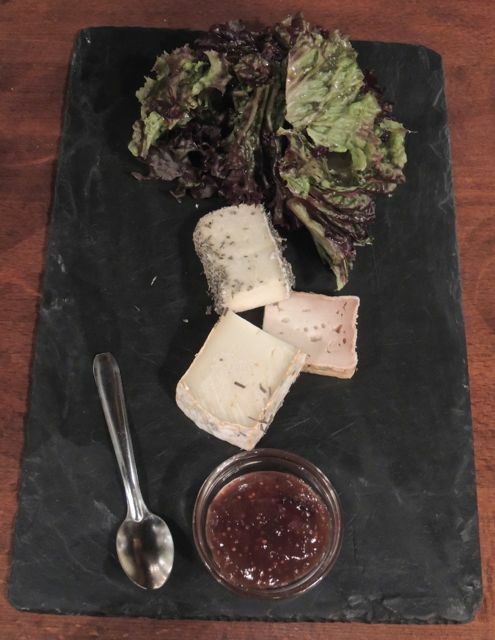 The quince paste and herb cheese on the crusty baguette made for a tasty dessert!! 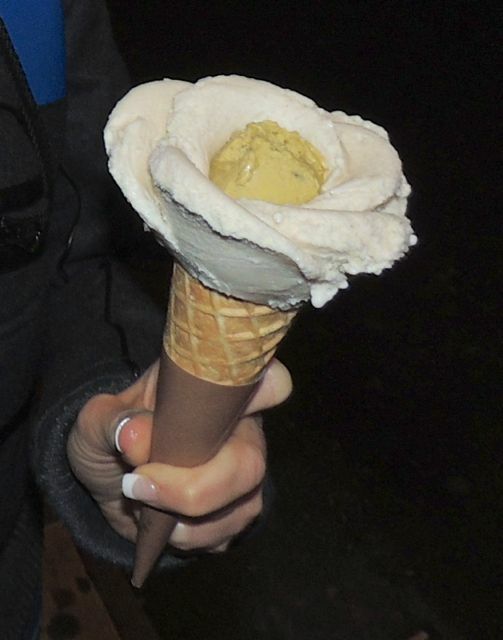 After dinner I couldn’t resist a gelato, I ordered a medium sized cone with vanilla and pistachio gelato, it was designed like a flower with the pistachio in the middle and the vanilla on the outside, food heaven hit me again.. WOW, how can gelato taste so good.. I can’t wait for tomorrow to taste a different concoction.